Today I visited Mt. Seki (618m) or Sekisan at Shirakawa. 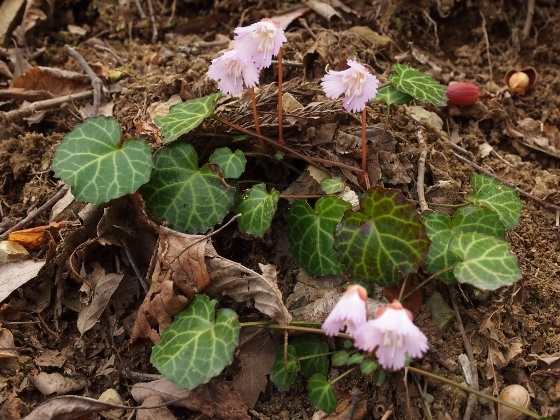 The mountain is famous that a legendary haiku poet Matsuo Basho visited the mountain in 1689 on the way of his journey to Michinoku or Tohoku region. 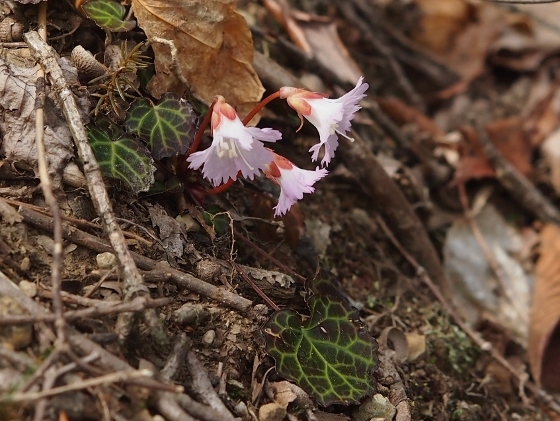 It is also known that a part of the mountain slope is a natural habitat for a mountain plant Iwauchiwa or shortia. 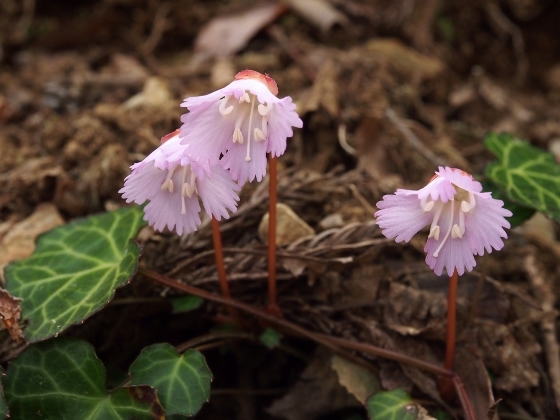 At this time around the plant starts blooming. Picture above shows a view of the plant just started to bloom with its cute pink flowers. So I started walking on the trail from the north and I took a right-hand route when I came to a branch shortly later and made to the summit. 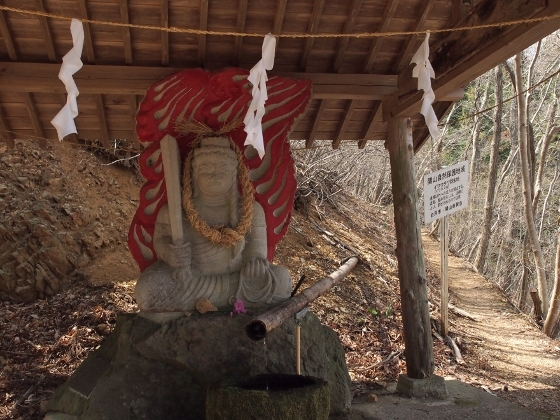 Then I descended on the other route and halfway on the route there was a large sitting Acala stone statue as shown above. A mountain slope in the back of the Acala statue was the habitat of Iwauchiwa or shortia plant as you can see a narrow trail on the right. 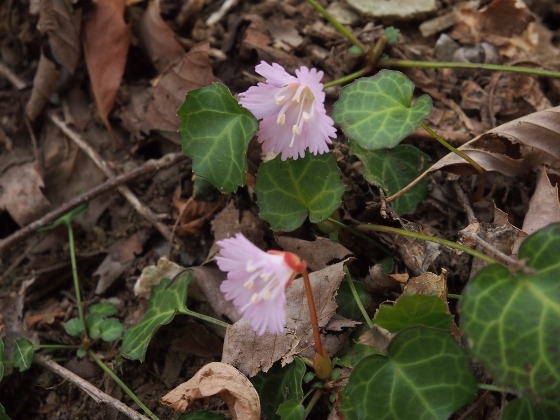 Some close-up views of the shortia flowers today are shown above. 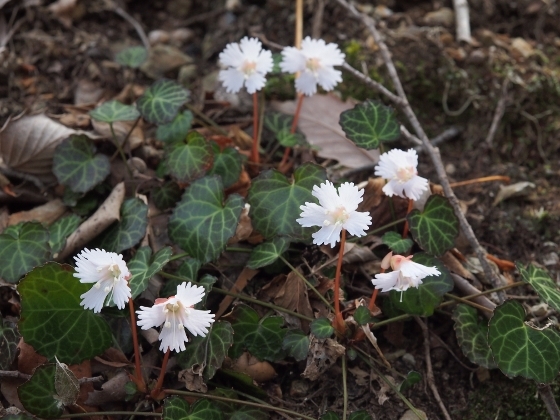 I also found white flowers as shown above. 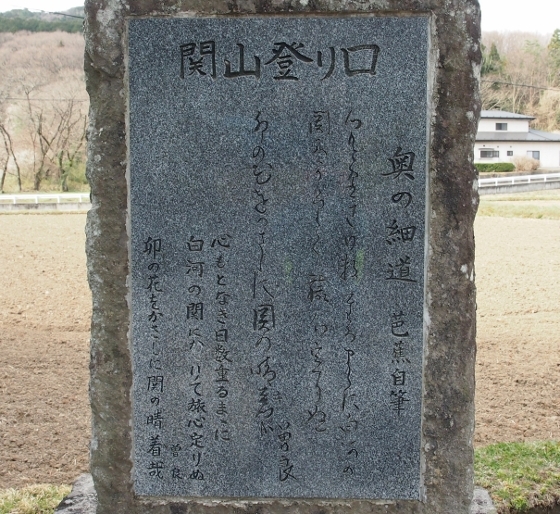 The trail head was located near the JR bus stop “Sekibe”. 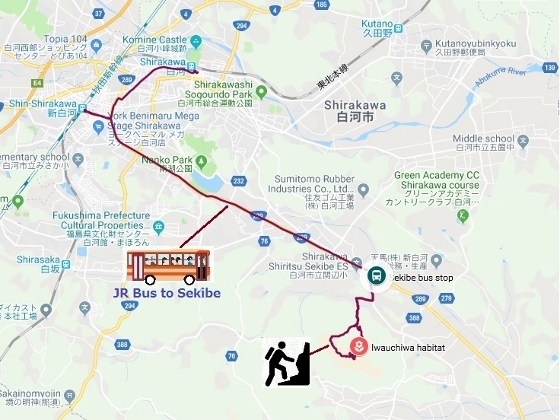 We can take the bus either from Shirakawa or Shinshirakawa Station. Today’s GPS trace is shown in the map at the bottom. Shirakawa City is qualifying people in terms of knowledge about local history and culture. There are three grades, 1st, 2nd, and 3rd grade. If you pass the official test conducted by the city office then you get a certificate such as shown above depending on the grade you are qualified. Any people can take this test, no conditions. 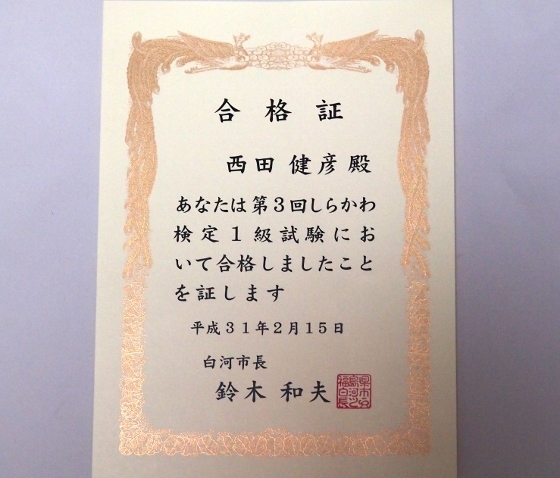 This was very useful not only for studying Shirakawa but also for all Fukushima and even for all Japan.